On 26 September, I again heard the nightmarishly familiar sound of a dog barking. It was obviously coming from the home of Bernice Rosa and Marcus Keilch. After about 10 minutes of the incessant noise, I called the police and reported it. (Past experience taught me that it was useless to call Animal Control; there is never anyone there to answer the phone.) Twenty minutes later, Animal Control Officer Petras arrived. Petras arrived and ordered me to go home; she would handle it. I refused. She then walked to the back door and knocked. Not getting a response, she gets out her phone and makes a phone call. A moment later, Petras hangs up the phone and the back door opens. She enters. Who would Petras be calling while standing at Bernice's back door? Bernice. Tell me; why would the ACO have Bernice's number programed into her phone? Could it be that they have a personal relationship outside the scope of her duties? Hmmm, me thinks so. The phone call to police was made at 10:25. The video begins at 10:36. Petras arrived nine minutes into the video, or 20 minutes after the call was placed. The dogs were barking at least 10 minutes prior to calling the police, for a total of about 30 minutes. This can be proven by the officers who were across the street from her house and their reports. 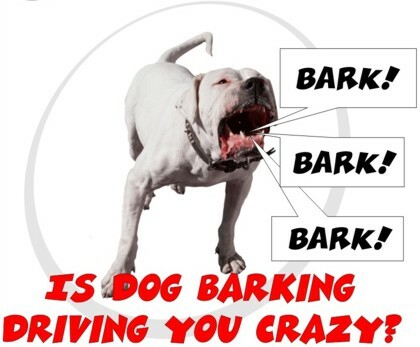 In spite of this, and the protracted history of dog barking complaints, stray dogs and dogs being hit by cars, all from this address; in spite of the fact that the dog owner was home at the time of the occurrence and allowed it to go on unchecked, Petras did not issue a ticket. She refused to enforce the law. I said to Petras; "By the way, after you left court, Bernice admitted it was you who brought the blog post about the barking dogs to her attention". Her response? No, not a denial, but a smug; "Well, if you didn't want people to see it, you shouldn't have posted it." Since when does it fall to the duties of an animal control officer to go around telling people about blog posts, especially when the blog post has nothing to do with those people? I don't think it does fall to the duties of an officer, a civil servant, to tell people about a blog post. Do you? Had Petras kept her mouth shut, Bernice Rosa and Marcus Keilch would never have seen that blog post. Had Petras done her duty and resolved the issue of the barking dogs in the first place, that blog post never would have been. Had Petras kept her mouth shut and done her duty, NONE of this would be going on, today. Nor, would I have been called to court under the false pretenses of one Bernice Rosa. Officer Petras can shoulder ALL the blame for the fallout, resulting from her dereliction of duty. Stay tuned for the next series of posts where I rip apart the perjured testimony of Bernice Rosa, one transcript page at a time. You'll love it, folks; it's gonna be huge; HUGE!